PEST performs a site inspection in order to determine what, if any, pest control action is needed. The inspection process is necessary to identify any existing pest populations and also structural and environmental conditions (both interior and exterior) which may provide insects, rodents, birds and other potential pests with environmental resources to encourage and sustain their populations. All problem areas are thoroughly surveyed in order for the Quality Assurance Manager to identify the pest. Afterwards, regular monthly evaluations by the Quality Assurance Manager are performed to ensure properties are being serviced using the highest quality standards. Problem areas are monitored using appropriate tools, such as glue boards, pheromone traps, and mousetraps. Each piece of equipment is dated when installed and re-dated on subsequent inspections. Insect monitors and glue traps are replaced at three-month intervals (or sooner if conditions dictate). This monitoring allows PEST Green Solutions to prevent and pinpoint localized pest incursion without resorting to pesticide. Prevention is key to our philosophy. We work hard to provide a protective barrier around each and every suspicious area so that infestations cannot occur. We also work closely with your sanitarians and personnel so that all critical areas in each location are serviced regularly and on a rotating basis. Problem areas usually include but are not limited to kitchens, storage rooms, electrical closets, common rooms, loading docks, and garage holding areas. Service frequency is customized according to the particular pest problem and size of the problem area. Typically, individual office floors will be serviced monthly on a rotating basis so that at the end of a four-week period all areas of the office and building are serviced and inspected. 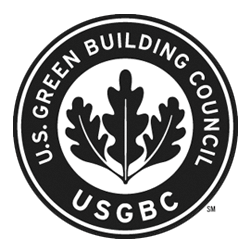 PEST Green Solutions employs non-chemical control methods such as denying the pest access to food, water, and shelter. Adherence to IPM ensures that pest problems are resolved using environmentally friendly, low-impact solutions such as vacuuming, pheromone traps, sanitation, and pest exclusion. In the event that pesticides are required, no application will be made without prior approval of the appropriate building contact person. Pesticide usage is a last resort after careful consideration of effectiveness and risk. PEST Green Solutions will use the least toxic pesticide available and only those pesticides that are registered with the New York State Department of Environmental Conservation (NYSDEC). As new pesticides are introduced to the market, all MSDS information is thoroughly reviewed by the PEST team to ensure green certification. PEST will provide quarterly inspections and reports by a certified entomologist. These inspections will be performed after business hours. PEST Green Solutions will provide MSDS sheets, in a log book, to all locations on service. The MSDS provides all safety and health information on pesticides including instruction on proper usage, protocol in instances of chemical exposure, and spill-handling procedure. 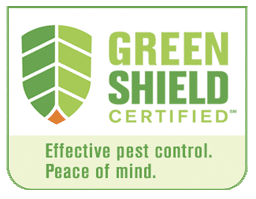 Please click here for more information on Green Shield Certified. 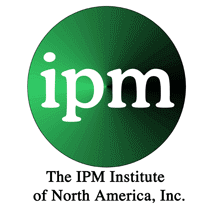 Please click here for more information on IPM and pesticides.